A maintenance project of I.S.S. Industrial & Ship Services BV. 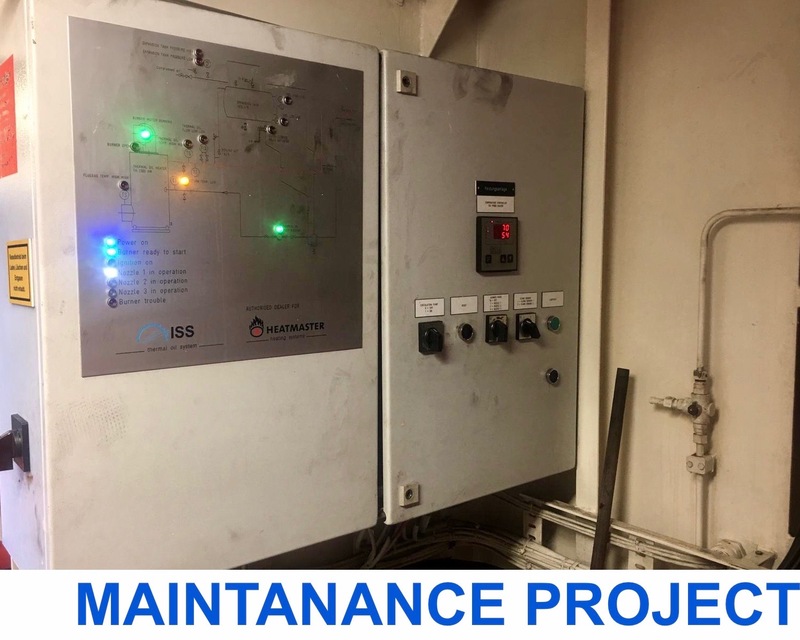 During this project the boiler installation, including the switch panel and the burner motor, were tested to ensure that all parts were working properly and cost efficiently. The service engineers of I.S.S. 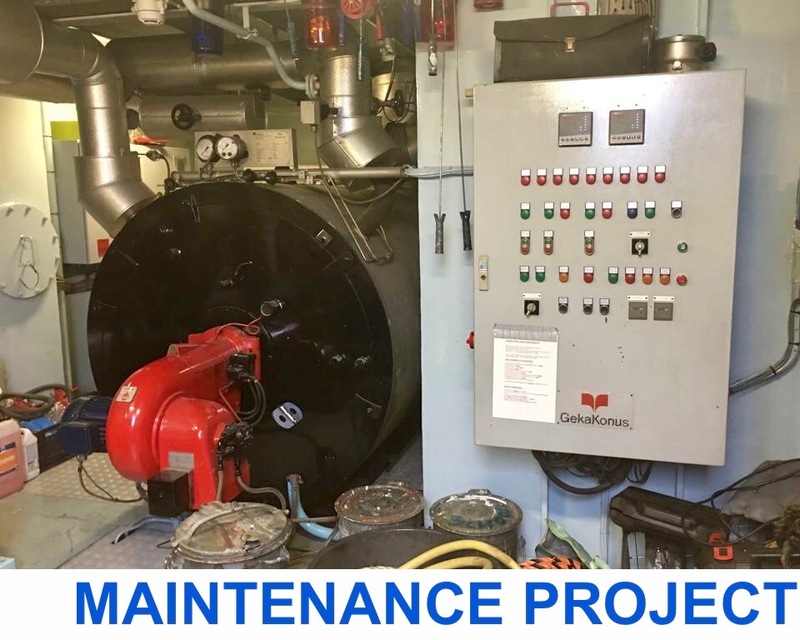 Industrial & Ship Services BV have tested the working of the various components of the GekaKonus boiler system on board of an inland ship. Jobs included testing the working and condition of the switch box, the burner motor, the cover, the pressure indicator and the differential pressure gauge. I.S.S. 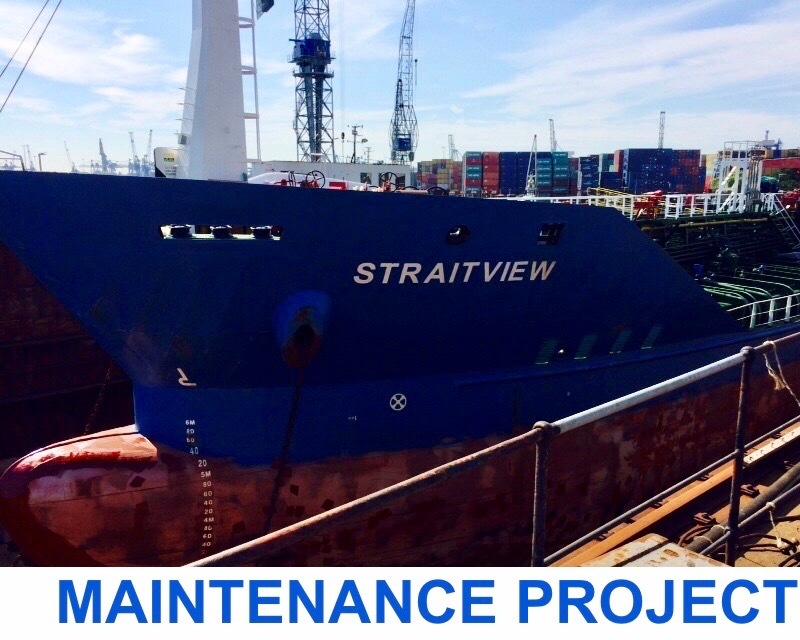 Industrial & Ship Service BV has inspected and tested the HTI-GESAB thermal oil system on board of the oil tanker the "Straitview". Jobs included inspecting the Wiesloch alarm units and the HTI-GESAB electric controllers, and testing the working of the burner system. The service engineers of I.S.S. 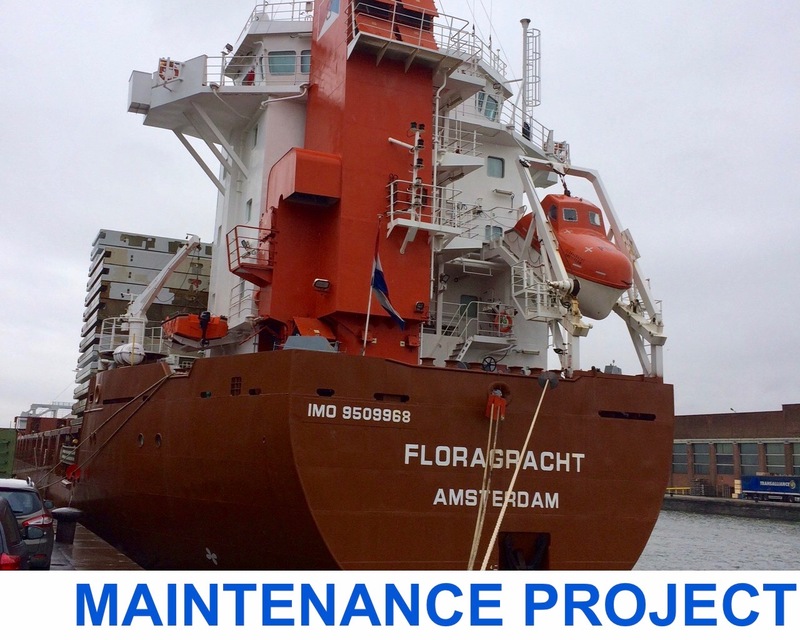 Industrial & Ship Services BV have inspected the thermal oil system of the cargo ship the Floragracht. During this inspection, the booster unit was modified and the electric controller was replaced by a new KFM controller.